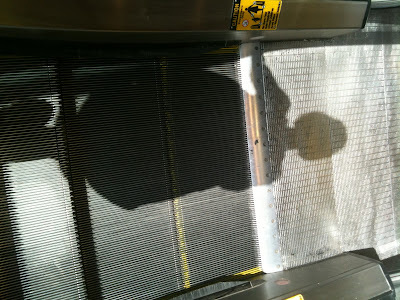 Oh, and it's Shadow Shot Sunday, so here are my latest. Going down? 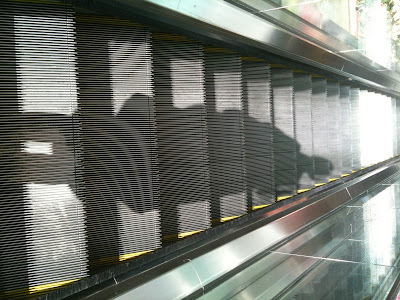 Cast your own shadow over at Hey Harriet. it's so cute!! I love the details :) You'll know for next time now though - but I bet it would look perfect on a baby? oh I love your kimono, it's so sweet and lovely and I wish I could knit, it's like a work of art to me! The kimono is adorable. I bet it'll look really cute on. Maybe with raglan sleeves you may have liked it better? I dunno. The knit baby kimono is adorable! What a lucky baby who gets to cuddle up in that! :) Thanks for stopping by my blog! Great shadow photos. I think one sees so many neat photos while out and about with shadows but one needs to always carry the camera. Love the shadow shots - and the sweater, what a great color. I really love the Kimono - I'm constantly looking for cute baby knits, would love to know what pattern this is from. Great job on the Kimono - love it! Well I love the kimono - nice work! Love the sweater, especially the button!